3D printing technology for food continues to advance. This technology uniquely offers customizability, which is as yet an unexploited advantage for fulfilling an individual’s preferences or specific nutritional needs. The potential relevance of this technology for application to military field feeding is currently being investigated. 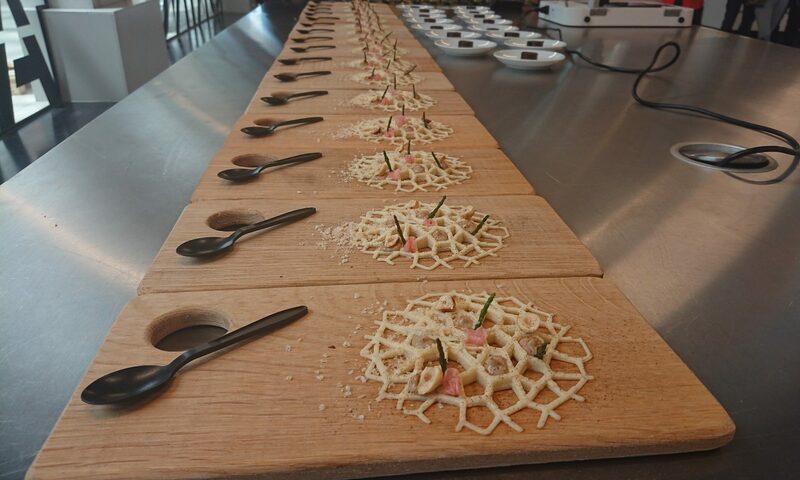 Consumer judgements of the sensory characteristics and concept acceptability of 3D printed food were recently measured, showing both high approval of the product and general acceptance of the technology. While food, with its complex and varied composition and rheological behavior, is a relatively challenging media to 3D print, we have demonstrated that systematically modifying the material properties of the matrices aids in their printability. Application of this technology to military field feeding could in the future provide highly tailored ration components that meet the Warfighter’s real-time nutritional needs and preferences. Furthermore, placement of 3D printers on or near the battlefield could be logistically beneficial by reducing reliance on typical thermostabilized ration components, which have a mandated 3 year shelf life, and in which quality can degrade over time. 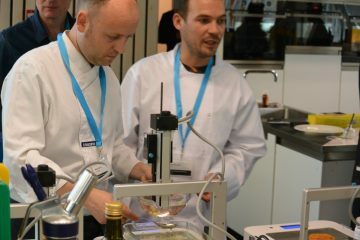 3D Food Printing Experience at Wageningen University & Research – June 29 – As part of the 3D Food Printing Conference, Wageningen University & Research together with TNO organize the 3D Food Printing Experience. On the 29th of June they invite you into their newly built facility in Wageningen and provide you with in-depth talks and lessons learned on the various 3D printing technologies and also share demonstrations using their state-of-the-art 3D printing equipment. Students demo corner – 3D Food Printing projects at HAS University of Applied Science – June 28 – Students Demo Corner during 3D Food Printing Conference 2018 – The Students Demo Corner will take place during the Agri-Food Innovation Event. Antien Zuidberg will present shortly the Food Innovation model and how food concepts with 3D food printing are developed at HAS University of Applied Science. After Antien Zuidberg’s introduction, four bachelor students will present their 3D food printing projects. Printing Parramatta conference gives us the possibility to look after the various equipment and devices which will give us the idea of whole new level of printing. Check out the new printing machine and trending design for your business.